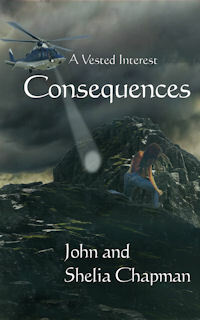 Then you might be interested in the Author! Author! blog by John. 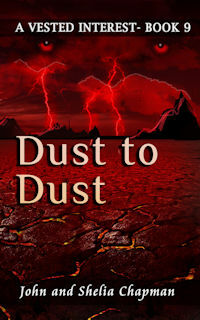 Why not read A Vested Interest on the new 7" Kindle Fire HDX? You don't need an e-reader if you have a smartphone though. 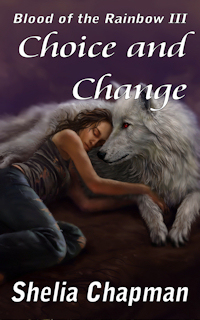 Just download the FREE Kindle App. Gary spoke to what appeared to be a bare wall. “Wall screen on, location Langston Castle, view out drawing room window.” The wall changed to show a window looking out from Langston Castle. “The trees move in the breeze, and see there,” he said pointing to a tree. “The birds move around the branches as near to normal as possible. Now watch this. Wall screen, adjust time to 9pm.” Everything went dark, stars twinkled in the sky, a cloud moved over the moon and in the distance you could hear the occasional sound of sheep and cattle. “Well, I’ll be,” Jack commented. “It’s just like being in the castle!” Vera said. That's being developed too, although perhaps not quite on the scale we suggested. Indications are though that there would be little sign of the 'rocket exhaust' discharge we suggested. Check out this page for more details of a drilling system being developed by the University of Strathclyde. On a smaller scale it's possible that plasma drilling could replace the dentist's drill in the future. He nodded and consulted his GPS. “This is the right location,” he said. There's a lot of interest in this as an alternative to current 3-D TV. A true Holographic display would not require special glasses to see the effect. It's being developed too as can be seen here. 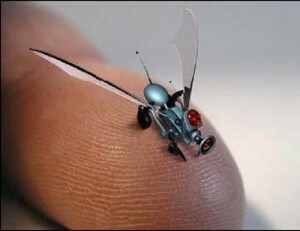 Small flying bugs which can be used for surveillance are naturally of great interest to the military who already have flying drones and 'bugs' which can fly. Take a look at this video for an idea of what something like this could do http://bcove.me/bshpuxi7 Does the idea of making them invisible bother you? Well the Swedish army already has a tank which can be made 'invisible' and as you make devices smaller, we begin not to notice them. How visible is a mosquito? As far as we know no-one has yet set up a communication network using flying bugs - that's our idea. However a recent development in wireless networking offers a 'mesh network' which is exactly what we proposed with the nanobugs. They crawl a strand of DNA finding and fixing problems or inserting new sections. As such they represent a new 'vector' for genetic engineering. In space they are used to create a huge telescope mirror, miles across, to explore for habitable planets. Of course the 'baddies' will produce nanonytes for their cause and the 'goodies' will counter them with their own nanonytes - a nano war! 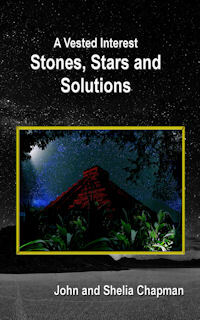 In 'Stones, Stars and Solutions' we insert a nano-monitor in each of our 'team'. It's function is to monitor the vital signs of the individual and alert if there is a problem. Used with a software modified mobile phone it can be used as a 'Star Trek' style medical tricorder to identify medical problems. We have absolutely no doubt that in the future such nano-monitors will be developed. Hey - does that mean I can claim the $10,000,000 prize offered for inventing this? 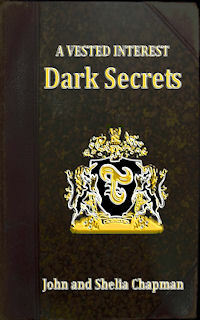 The bad news is that we also suggest their use in 'Dark Secrets' to extract information from an uncooperative bad guy. 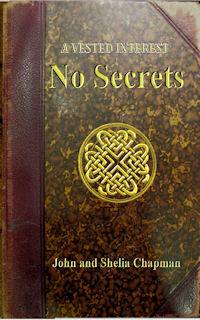 Nano-surgery is suggested in 'No Secrets'. That's surgery leaving no scars and with no recovery time. It would mean the end of the scalpel. The problem with rearing animals for food is that we grow attached to them and dislike killing them. Many people think it's just plain 'wrong.' 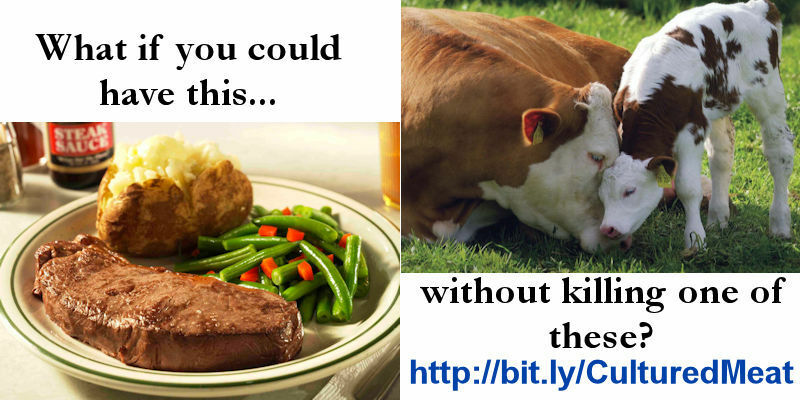 Wouldn't it be nice if we could have meat but not have to kill to get it? This has been a dream of many for years and the nearest we've come to such a meat substitute is spun soya protein. The trouble is - it's just not meat. Now, using genetics and stem cells it's been found possible to grow muscle cells in a suitable culture medium. Potentially from a single cell it is possible to grow tonnes of meat in a very short time. No animals are involved other than to provide the original cell and the animal was not killed to get that. It's not just meat which is involved. Leather can be cultured and even printed using a 3D printer. It would lead to a reduction in greenhouse gases. Livestock currently emit more of these than the world's cars. There are still many problems to overcome, chief of which is that it's currently far more expensive. It is being developed however and will become common. We suggest the meat would be grown in a nanonyte frame which would exercise it and promote growth. BBC: Lab grown meat - The future of food? “You kept this pretty quiet,” John said. “What about other animals? Sir Richard asked. Of course there is nothing to stop us growing human 'meat'. We are not suggesting a modified form of cannibalism. Instead it could be used to grow muscle to repair things such as a human heart. 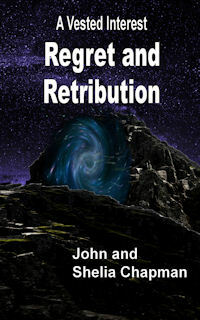 We use that idea in 'Regret and Retribution.' As to 3D printed skin - that's already being developed at a number of centres. It's already being used to produce organs such as a bladder and it's a matter of time before we can print out a replacement heart. Is there such a thing? It seems there may be. A gene known as AVPR1a has been identified which seems to be the 'ruthless gene'. The shorter this gene, the more likely you are to be ruthless in dealing with others. By a coincidence, it just happens to be the same gene associated with musical ability, which fits in well with the story. In some of the books you'll find a mention of a second Triplet base at Cayambe in Ecuador. Why this particular location? It just happens to be the highest point on the equator and a good site for a space elevator since it's above most of the atmosphere. A space elevator was first proposed in 1895 by Konstantin Tsiolkovsky. His proposal was for a free standing tower which would be impracticable since it would collapse under it's own weight. Since then the concept has resurfaced a number of times. One Japanese firm, Obeyashi, has committed to building one in the next 50 years. It's my belief that it could take a lot less than this. Check out the site of Liftport.com, a group which plans to first build a space elevator on the Moon. Liftport used the Kickstarter site to raise the funding they required for experiments. They asked for $8,000. Within 72 hours they had that pledged and went on to get funding of $110,353. Does that indicate the level of interest the public has in this project? We, of course, were backers. "So Signor Brown, what do you know about rapid transit funifors?” Alvero asked Gary with a smile. He, Gary and Juanita were seated in his mobile office. “Well Sir Richard has asked me to explain what they are and just how they are relevant to a space elevator” He quickly drew two circles on a pad and joined them with two lines. “Indeed they do… and some systems have more than three cables. Each system has advantages and disadvantages but in the rapid transit system there are three. “But if that’s the case wouldn’t there be a sudden jerk as the gondola switched loops?” Gary asked. “So this is the system the elevator will use? Like a cable car except it will be stood on end?” Juanita asked. "So why are we building the ground station here rather than on a ship? Surely that would be safer than building it on a volcano?" "Our ground station is above most of the atmosphere. That offers multiple advantages. Passengers will travel much faster—the journey will take a lot less than the week existing designs call for. They'll also be in a reduced pressure capsule. That offers advantages too but means they'll have to spend a week aclimatising to this in a hotel here before they travel. That will be down in Cayambe town and in much greater comfort and safety than is possible during a trip up the elevator. Our ground station can move too if necessary. It's on the end of a track which could move it to safety if the volcano showed signs of becoming active again. That's unlikely—it's been stable for the last 300 years." Have you heard about memristors yet? If not, here's a quick video guide. For years I've been predicting the death of hard drives, CDs, DVDs and Blue Ray. Computer storage which relies on moving parts just has to be a concept itching to be replaced. For the last few years we've had USB memory available and solid state drives (SSDs). They are expensive, though getting less so. Now there is a new electronic component being developed which promises to bring a vast increase in storage at a greatly reduced price. It's fast, small, inexpensive, more versatile, uses less power and is less prone to heat damage. It's inevitable that it will replace computer memory chips, hard disk drives and optical disk drives. In a few years expect to be able to buy a movie or computer program on a plastic card featuring a pop-out area like a phone SIM chip. It will be about the size of a credit card - not because it needs to be that big but because that's about the minimum size to print a description on. It's not just computer memory which will be affected. The other computer components, including the processor can use memristors. You can even make the components transparent. Imagine your car windscreen showing you a head up display of the road ahead and all the instrument panel. There's one other feature of memristors - they are not just on/off devices like our current digital computers. They remember various degrees of resistance making possible a synapse type computer like the human brain. Nothing really new about these. They've been around for a while. 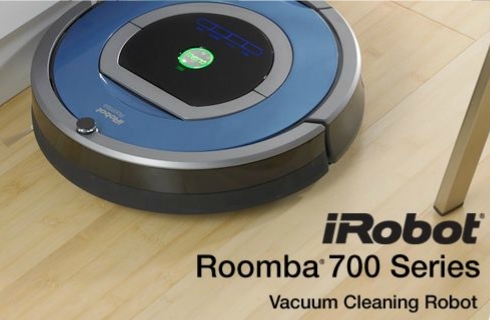 If you want one then try http://www.irobot.com or you can get them through Amazon. “ Richard what is that beeping noise?” Kelly asked. Everyone sat down in the lounge. “I don’t know. I called off the dogs and left it to it. If it hasn’t figured out how by the time I get ready for bed, I guess I’ll have no choice but to clean it up myself. Actually he should have cleaned it up. I read a report on social media of how a floor cleaning robot had tried to clean up dog mess and had succeeded in spreading it all over the room. Seems current technology has a little way to go yet. -In a number of the books we have characters communicating by cellphone via a satellite connection. That was stretching it a bit when we started writing the series back in 2007 but specialized satellite phones soon came available. They were still big and bulky though - certainly not pocket-able. That's changed again though. You can now buy a small device which allows a cellphone to connect. It uses the cellular network when available but uses a satellite connection when it isn't available. And it's pocket able. A little more development and we'll have the cellphones used in the books. In 2007 we wrote about this in our original book 'A Vested Interest - Immortality Gene'. In it we described it being used to show Donna an image of her unborn child (and used computer modeling to show how he would develop at different ages). Today in 2015, we found this. Technology is catching up. VICi; Holographic imaging chamber ready. Program loaded. There was a series of beeps. A sparkling display of static appeared inside the cylinder. It slowly rendered a 3D hologram of their baby. He turned the image so they were looking at the baby’s face. To their amazement, he opened his aqua blue eyes and smiled at them as if he knew who they were. “This… is… amazing,” she said, her voice choked with emotion. The image of the infant morphed to a small boy. “He has your facial features,” Richard said. 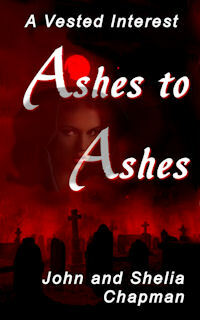 Silent tears slid down Donna’s cheeks. 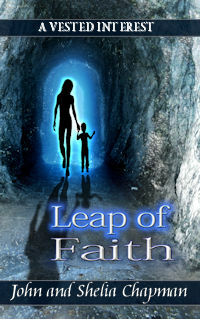 She dropped to her knees, eye level with the hologram of the boy. 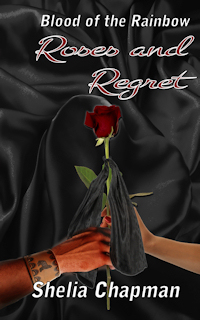 Richard knelt beside her and held her. “He’s a younger version of you,” she said. 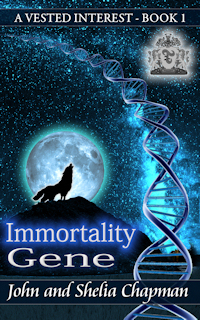 What about the Immortality Gene itself? That's worth a page just for that subject alone - here it is. 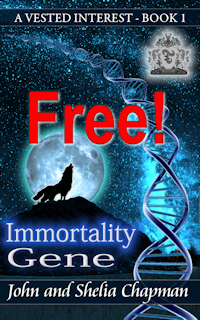 Sometimes some branches of Amazon remove Immortality Gene from 'free' for a few days. If that happens you can download it direct from us here.